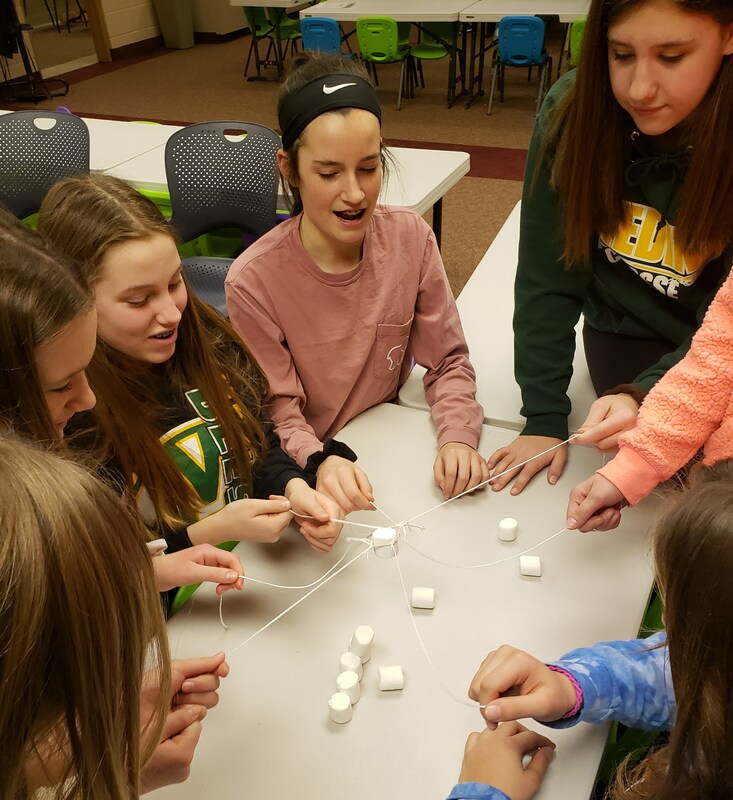 Spirit at Holy Martyrs is a dynamic and exciting middle school program which is meant to catechize, evangelize, and energize young Catholic Christians in seventh and eighth grades! Based on the EDGE program by Life Teen International, and drawing on other strong catechetical resources to continue the discipleship of our middle schoolers as their encounter Jesus Christ. We meet on Sundays from 6:00- 7:30 p.m. We begin with snacks, and spend time in games, skits, large group and small group discussion, as well as prayer and other community building experiences. For more information please contact Skip McQuate or Diane Bruce. This ministry of our parish is very important for our youth, and for the future of the Church. Parents, please review the Parent Assistance form and consider how it is that you can help our program run smoothly in bringing Teens closer to Christ! Thank you to all of our SPIRIT parents who have so graciously stepped up to assist the program each week with facilitating, setup and cleanup.